The Valley of the Dordogne, a privileged playground for climbing. In order to diversify your activities and your occupations for your stay in the Lot, we propose to mix height and sensations: climbing. 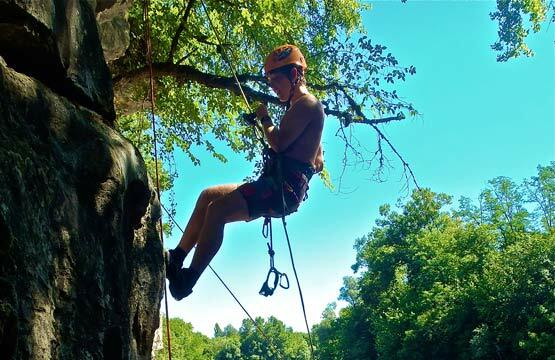 The Dordogne is an ideal playground for climbing. We will go together in search of the most beautiful sites in the Dordogne valley. Among the most famous climbing sites in the Dordogne, you will find: Le Roc Fayard, located in Campagne, Carsac-Aillac and its small block site, or the rocks of Caudon, in Domme. The famous route of the Via Ferrata is in the Dordogne. It is a site controlled and arranged for the climbers. You will be supervised by experienced instructors, in order to make you enjoy safely. 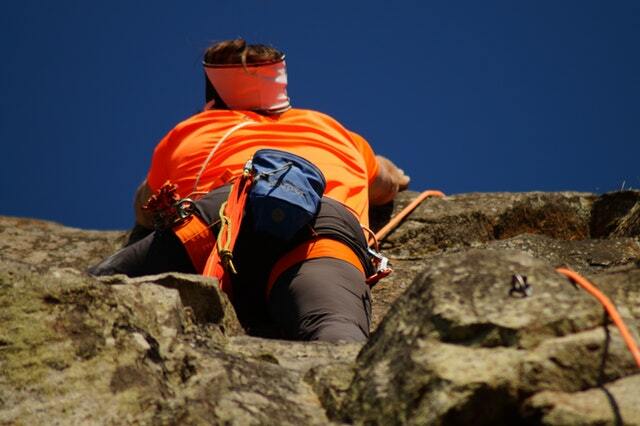 Climbing sports or traditional, we will make sure to satisfy the desires of all climbers. If you have never climbed, we will take you to a site of initiation and discovery. The necessary techniques and materials will be explained to you by your instructors. The objective is to make you discover the fundamentals of the discipline which requires a real concentration and a takeover of oneself. Once the technical basics are covered, you will feel your first climbing sensations, and play with your apprehension of height. If you have already practiced climbing, we propose you to refine your gestures, to complete your technical skills and to develop your autonomy in roping or head to go further in your practice: Handrail, climbing in the lead, relay handling, reminder and rope lifts, will be on the program to make you as autonomous as possible. We will of course make level groups to facilitate everyone’s experience. The instructors will take you to sites with walls and secure ramps. Adults, children, alone or in groups, we welcome all visitors who want new sensations and height, for a unique experience.